Thank you to Poetry for the lovely message mug I received in my goodie bag at their Summer 2012 Preview. 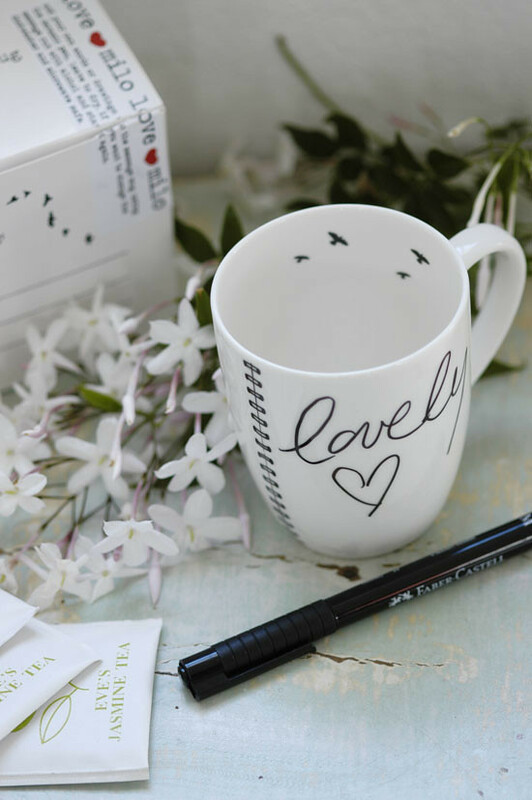 This sweet mug by love milo comes in a pretty box with a marker pen, ready for you to decorate and pen your favourite words or doodle to. Perfect for a gift as well! Oh how sweet. 🙂 I really like this. 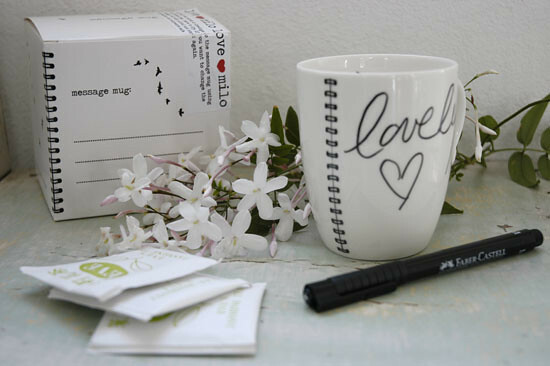 this mug is so cute!it would make a perfect Valentine's gift! How cute! 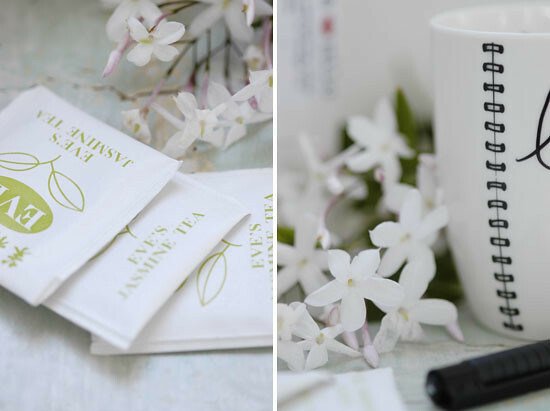 I love a good mug – it can make or break a morning coffee..
Hope you are well and that Spring is tickling your senses down there. What a novel idea!! What about a "give away" here! !